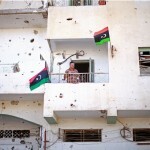 NATO’s official position was that the bombing would end when the Libyan government unilaterally implemented a ceasefire and withdrew its forces from at least three contested cities. Yet American, British and French officials who were involved in Libyan policy at the working level attest that U.S and NATO operations were designed from day one not only “to protect civilians … threatened with attack” (the sole object of force according to the U.N. Security Council’s March 17th Resolution), but also to help rebels overthrow the Gaddafi regime. But their testimonials are not the only convincing evidence. According to an official African Union report, in meetings with an AU delegation on April 20-21, 2011, American officials stressed that any ceasefire “should also include Col. Gaddafi’s departure from power.” In contrast with previous NATO bombing to protect civilians in Bosnia and Kosovo, there was no NATO offer to Gaddafi to discuss the conditions for implementation of a ceasefire and no NATO initiative for a diplomatic settlement. None were necessary, of course, if the purpose of intervention was military victory.